The Brit-winning singer had been rumoured to be in line to record the theme song for the 24th 007 film, following in the footsteps of Adele, Sir Tom Jones and Dame Shirley Bassey. But he denied the claims, telling NME.com: "No, I have no idea what that was about and I know as much as you do. You probably know more than me; I didn't even read the article." The 22-year-old crooner continued: "I think it's something everyone would love to do, but yeah, it was all news to me. I won't say any more on it." 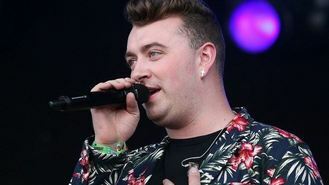 Sam, who has enjoyed chart success with Money On My Mind, La La La and Stay With Me, told the website that his favourite Bond theme tune is Jack White and Alicia Keys' collaboration on 2008's Another Way To Die for Quantum Of Solace. "My favourite Bond theme was Jack White and Alicia Keys. I love that; I thought it was amazing. Her voice and his voice together, I thought, was really interesting," he said. The next James Bond film, starring Daniel Craig as 007, is due for release on October 23, 2015 in the UK. Sam Mendes will be back in the director's seat, alongside returning stars Naomie Harris, Ralph Fiennes, Ben Whishaw and Rory Kinnear. Adele won Oscar, Golden Globe and Brit awards for Skyfall, which accompanied the film of the same name. Other musicians who have recorded Bond themes include Madonna, Sheryl Crow, Tina Turner, Chris Cornell and Duran Duran.